It's been a busy year for Leonardo DiCaprio — the highlight, of course, is that he finally won a well-deserved Best Actor Oscar and used his speech to address climate change. (Kate Winslet inadvertently stole the spotlight for a moment by providing the most adorable reaction ever.) And he's once again joined forces with Martin Scorsese for T he Devil in the White City , an adaptation of Erik Larson's nonfiction book about a serial killer who terrorized Chicago during the 1893 World's Fair. DiCaprio's wildly successful career is far from his only priority — he's a dedicated philanthropist whose main cause is environmentalism. So, I get he's super busy and all but I have to ask if Leonardo DiCaprio is on Snapchat? I hate to be the bearer of bad news, but DiCaprio doesn't have a public Snapchat at this time. Look, Leo, I understand that this particular social media platform is mostly favored by millennials, but we'd be eternally grateful if you could provide us with the occasional snap. Personally, I'd love to see him use the dog filter, but I'd be happy with anything at this point because beggers can't be choosers. Luckily, DiCaprio is active on Instagram and Twitter so perhaps a Snapchat account is next on his list. If he does join (*crosses fingers*), here are some of the snaps I'd love to see. Environmental activism is always attractive and it doesn't hurt that Leo can rock a newsboy cap like nobody's business. Surely more acting awards are in his future — wouldn't it be nice if we could get a backstage peek while the excitement unfolds? In January, Pope Francis and DiCaprio had a meeting to discuss environmentalism. You know what would have been awesome to see on Snapchat? A selfie of the pair. 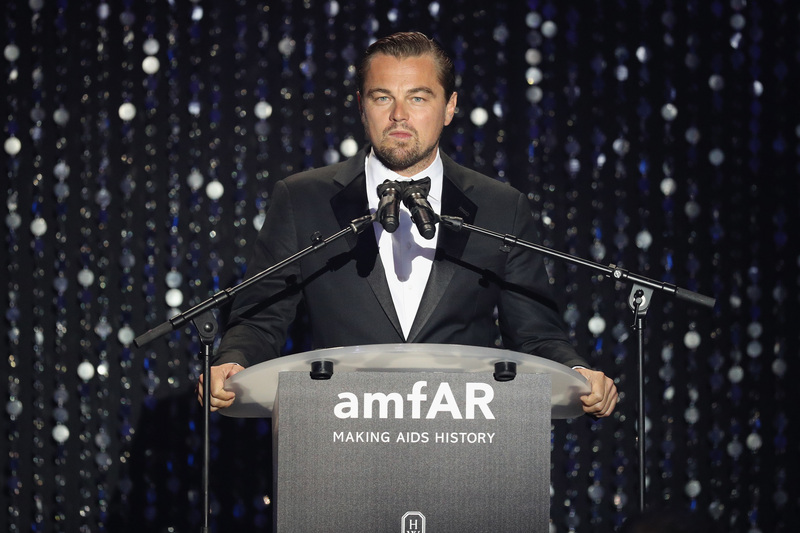 DiCaprio celebrated #LoveWins, but where was he when he heard the news? What exactly did his reaction look like? Snapchat would have definitely come in handy. I hate to say it, but these were prime Snapchat opportunities and the fact that we missed out is almost as tragic as the ending of Titanic. Environmentalism is his main cause, but DiCaprio is an active philanthropist and Snapchat would give him an additional platform to raise awareness. So, where can I start a petition for Leonardo DiCaprio to join Snapchat? Something tells me I'm not the only one who's dying to see what he'd look like with a panda or crown filter.